If I’d tried Akashi before this sister blend – I may not have bothered – but in reality – Tokinoka was my first exploration into the White Oak Distillery. Oddly – I also found this whisky in France. There must be a distributor doing a great job in getting it stocked around the country. Again – this is an entry level caramelised blend. But it’s more characterful & robust than it’s stablemate. A sharp spirity nose is smoothed by the caramel influence. There is a soft underlying malt to begin with – before a lovely warming heat kicks in. I found it a pleasant little number. A fair few were enjoyed at a Parisien get together with friends. The joy of whisky can come from unexpected and surprising places. When on holiday there I had a clear set of purchasing procedures. Number 1 on the list were some French made whiskies which I quickly ticked off at the lovely V&B chain of stores on my way out of Toulouse. Roof Rye certainly raised my spirits here! 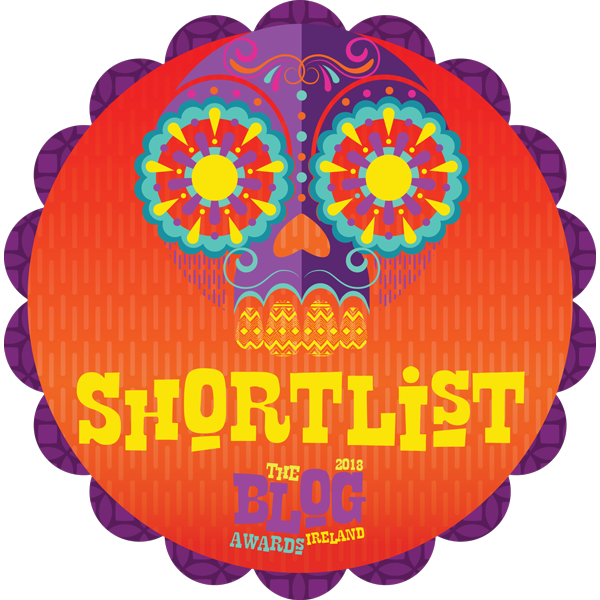 2nd on the list was any locally based Irish whiskey brands – but there weren’t any – as I found out in my recent blog here. 3rd on the list and last pickings were locally based Scotch brands – there were LOADS of them! Have you ever wondered why only half of the 130 or so Scottish Whisky Distilleries have visitors centres? The others are so busy pumping out liquid to 3rd party blenders, bottlers & spirits wholesalers throughout the world to bother with tourists. Liquid like what I found in The Charles House Blended Scotch Whisky. Now I must admit most of this market is entry level stuff. It usually means they are blends augmented with added caramel – which I can detect & dislike – as well as being chill filtered. There is no pretence to provenance or terroir – in fact there is very little to go on even on the label. But I don’t drink whisky based on what the label does or doesn’t say. I drink whisky because I enjoy it. And I certainly enjoyed Charles House. When poured into the glass the colour was relatively light – there was caramel on the nose – but not overpowering – and a lovely burnt note which drew me in. Soft, smooth & slightly sweet grain on the palate – mellow enough as befits an entry level blend – but what’s this coming through? My mouth began to dry out leaving a prickly tingling on the tongue with a lovely soft ashiness. Aha! I detect a bit of peat influence in this. The peat adds a bit of bite – some lovely smoky flavours – and just raises the tasting experience up a notch or two. It brought a smile to my face. Sorry Run – I’d much rather go back to Charles House. Where are all the Irish Brands? Out and about on my holidays in Southern France I did as many of the locals do and took a day trip into Spain for a spot of shopping, sightseeing, Spanish sausage & chips and a cold San Miguel. The border is only about an hour away set in the stunning scenery of the Pyrenees mountain range. Les is the first town you reach on the particular crossing I ventured on. What greets you on the outskirts of town is a car park full of French vehicles taking advantage of the cheaper tax regime on a variety of goods including fuel, tobacco and booze. I eagerly browsed a couple of shops looking for some Spanish whisky – non was available. There we’re some interesting American & Scottish offerings however. How about some Buffalo Bill Bourbon? Or perhaps William Peel, Black Vulture or even Sir Edward might please your palate? These are only a few of the locally based brands that are widely obtainable in France or Spain – yet are rarely encountered in the country of origin. Maybe you’d feel safer with more familiar brands like Jack Daniels, William Lawson’s or Ballantines. Amidst all this liquid there was only one Irish representative – Jameson. Where are all the new Irish Brands? Where are all the locally branded & marketed French based Irish Whiskeys with fancy names like Green Dragon, Seamus Shaughnessey or even Shamrock Sile? Now I realise this market is more about quantity rather than quality. There are no pretentions to provenance and terroir is trodden underfoot with trollies laden with 4.5 litre bottles of your favourite whisky bound for a celebratory social occasion or party. Yet even within this segment there are a variety of styles, tastes and prices. I know Irish Whiskey is capable of producing a decent tipple at a bargain basement price – Irish Reserve 4 Year Old springs to mind – so why not here? I have nothing against Jameson – but by my purely anecdotal browsings you’d be forgiven for being unaware of the explosive growth of Irish Whiskeys on the market. Irish Whiskey is seriously under represented in this segment. Apart from Jameson – it’s not even in the market. I was a customer in that market. I bought a Scotch I hadn’t tried before. That’s a missed Irish opportunity. How many more missed sales are there? Sir Edward has spent so much time in his adopted French estate he has imbued a rich dark mahogany colour. The heavy sweet caramel overtones suggest it is not natural. Sir Edward also seems to have given up the cigars – or perhaps even the Gauloises – as despite saying Smoky on the attractively designed label – I could only pick out the merest hint of peat to give some character to this otherwise inoffensively smooth yet basically bland blended offering. I was slightly disappointed – but at only €12 for a 1 litre bottle – and a very well presented bottle at that – the fact Sir Edward is actually pleasantly palatable is probably a plus. Was St Patrick Welsh? This Whisky Is! 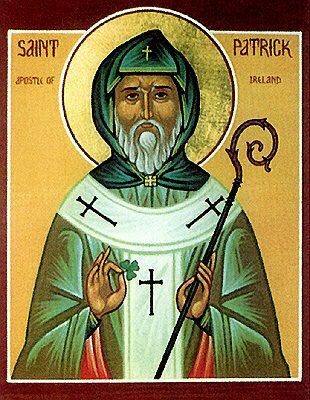 Coming on the back of St Patrick’s Day it’s often amusing to point out that the man himself wasn’t actually Irish! Controversy still reigns as to his actual birthplace. Some say Scotland, some say France and some say Wales. What is clear is that he certainly visited these countries during his lifetime. What is also interesting for the sake of this blog is that all these countries are whisky producers! Scotch Whisky is firmly Numero Uno in the whisky world. French Whisky is a relative newcomer but has many exciting brands and expressions. This humble blogger has tried a few which were grand. 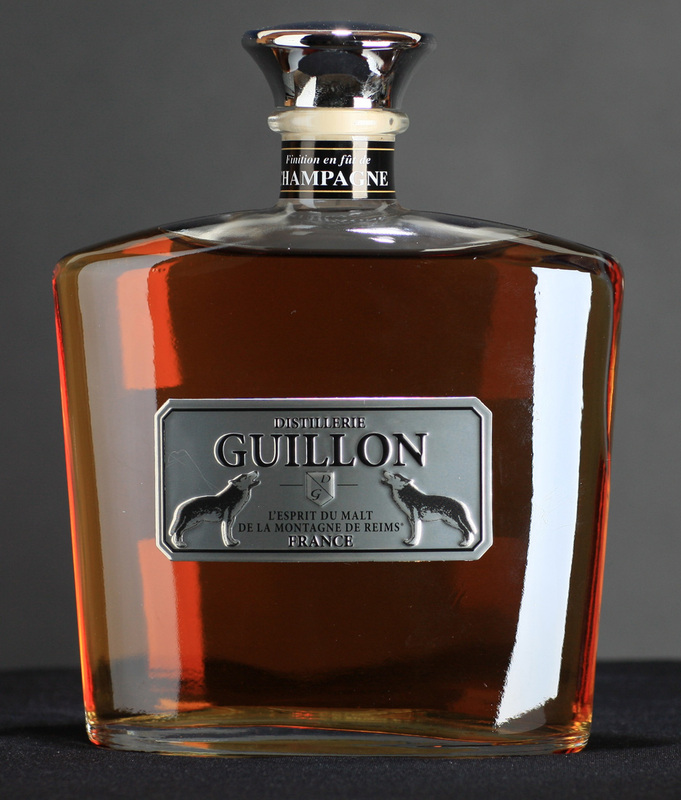 The Champagne finished single malt from Guillon Distillery being one of them. Welsh Whisky is also a relative newcomer to the scene – despite a rich distilling history in Wales, there is only one distillery in operation today. A fine distillery it is too! My first entry into the Welsh Whisky world came via it’s wonderfully named Red Flag expression. Now, many Irish whiskeys are named after places as in; Kilbeggan, Greenore, Slane Castle, Glendalough and Nephin for starters. In Scotland, many whiskies take the names of royalty, or at least the well heeled, to bask in the exclusivity or prestige associated as in; Imperial, Royal Lochnagar, Chivas Regal, Chequers and King Of Scots. 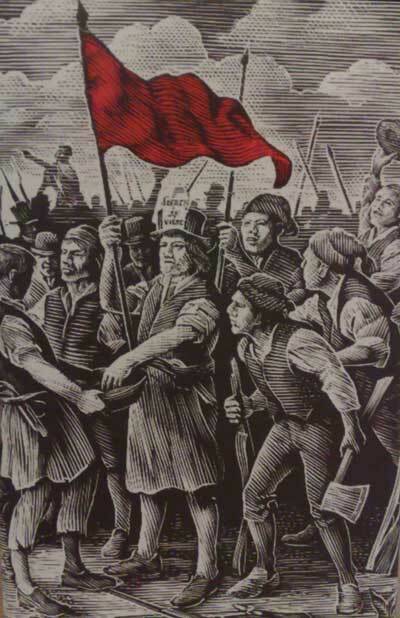 Penderyn Distillery has bucked all that to name it’s first Icon Of Wales bottling after a workers uprising in 1831 where the red flag was raised as a symbol of protest. Very refreshing indeed! The whisky itself lives up to the heroic struggles of it’s namesake. A single malt finished in madeira casks bottled non chill-filtered at 41%, it gives a very rich aroma backed up by a satisfying taste a with long finish. Definitely an A class whiskey, if not A+ in my book! As this whisky is a limited expression, it may sell out, but Penderyn release a single malt madeira finish in their standard range bottled at 46% which may also be very good. I can’t wait to taste the other bottles which include sherrywood finish, peated and single cask expressions. Penderyn have already won awards since launching in 2004 so this is a distillery to watch out for.